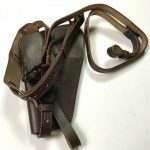 High quality all leather reproduction of the WWII M3 shoulder holster used with the 1911A1 Automatic Colt Pistol or the Beretta M9. 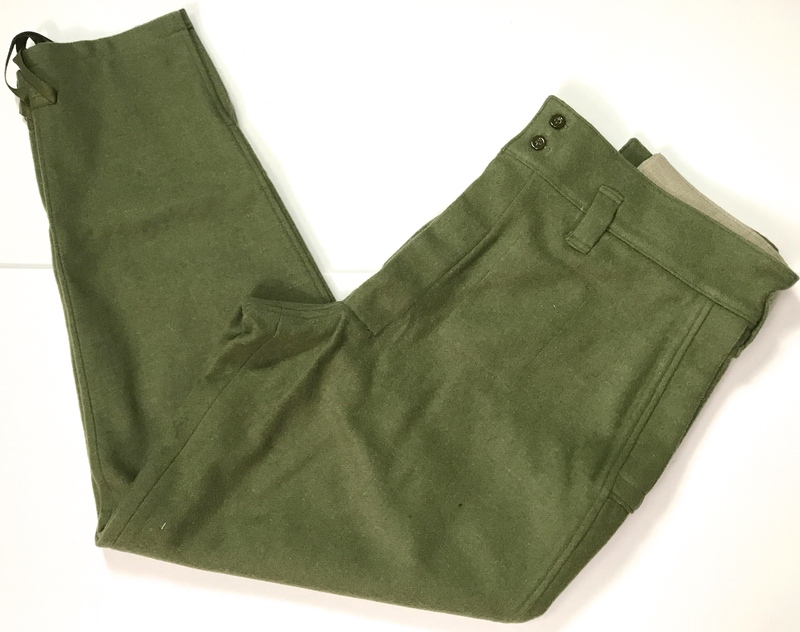 The M7 was designed in 1942 for use by tankers and aircrew, but quickly became popular with paratroopers and infantry. 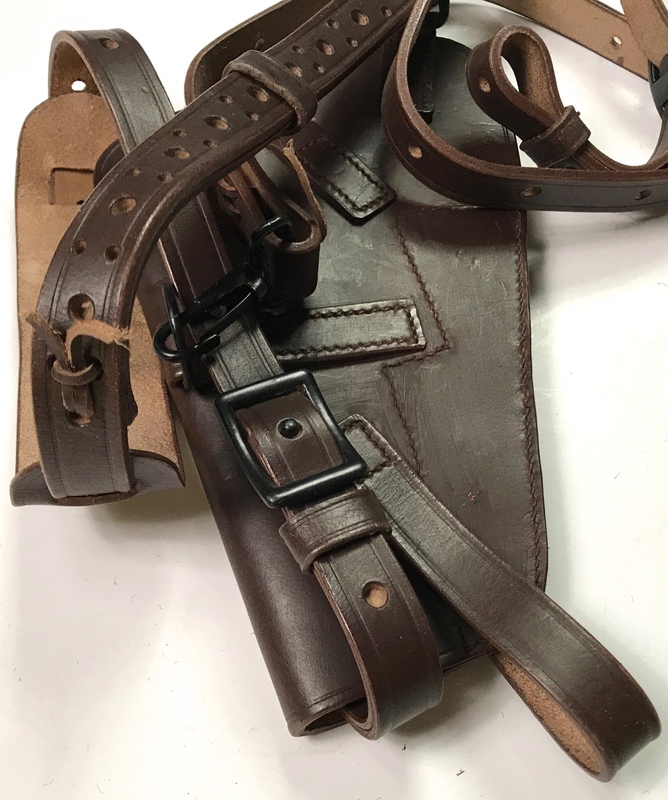 Our M7 holster is made in heavy chocolate brown finished leather. 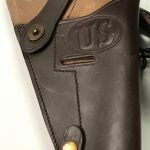 This holster is made just like an unissued original. 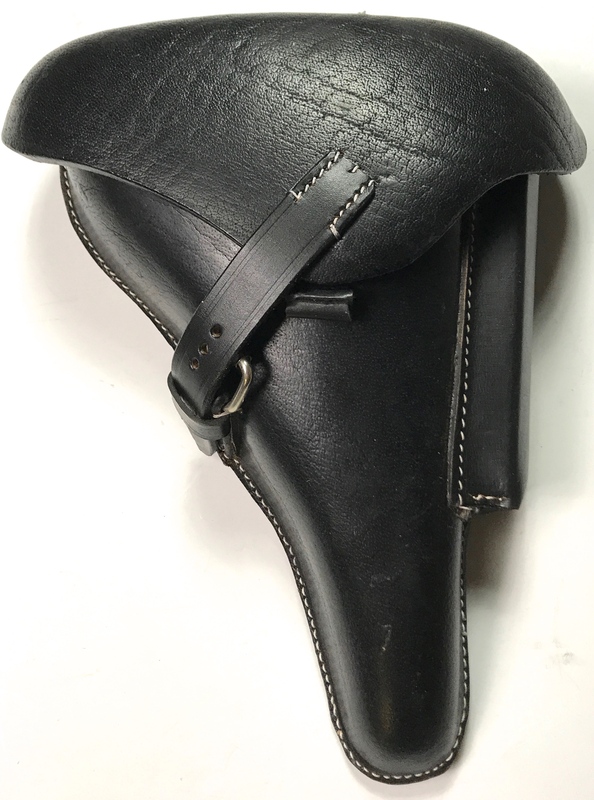 It is a tight fit when new so will need to be form-fitted to the pistol. 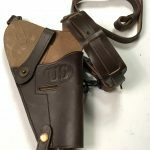 This can be done dry over a period of a few days, or you can wet form the holster for a better fit. 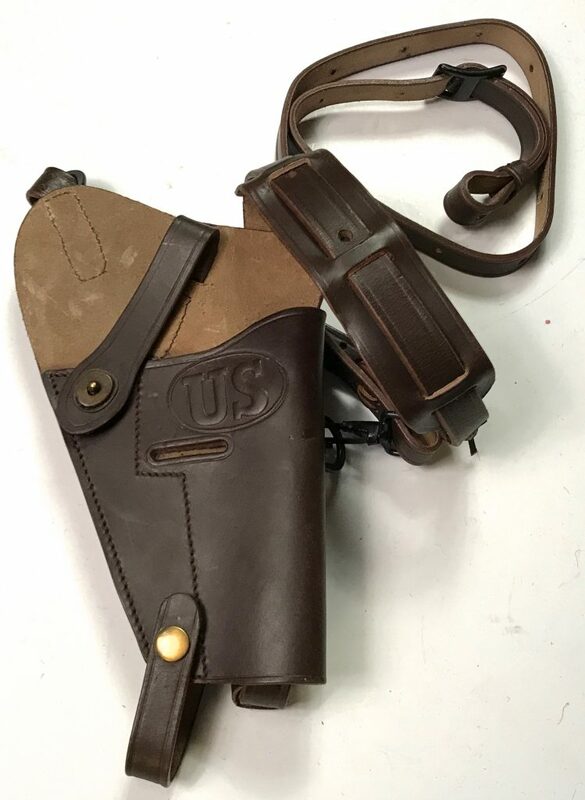 Just wet the inside of the holster, sufficiently oil your pistol and place in a plastic bag, then shove it and leave it until the holster dries. 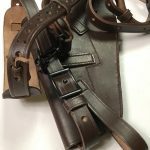 The result will be a perfect form fit. 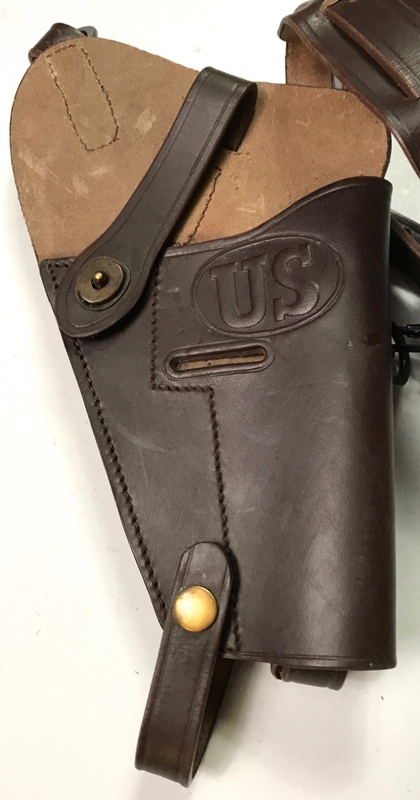 Although this holster was initially designed for the .45 M1911 pistol, many service members have purchased them for use with the 9mm M9 pistol, please note that it does takes a little more time and effort to wet form this holster to an M9.